﻿One of the most popular apples in the country, the Yellow Delicious is easy to care for, disease-resistant, and will produce an abundance of apples in record time! Yellow Delicious apples are a juicy, crisp, and sweet variety which are best eaten fresh but can also be used for pies, applesauce, and preserves. 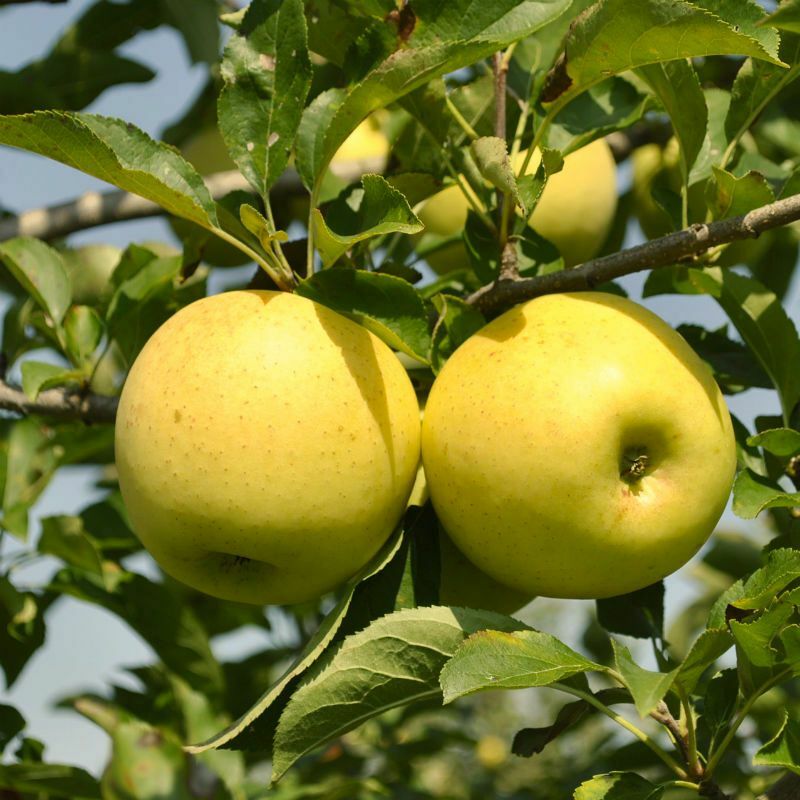 Yellow Delicious apple trees produce large, golden fruit which ripens late in the season. Self-pollinating and a reliable pollinator for other apple varieties.